Cleaning windows isn’t a job that lots of homeowners enjoy doing or even remember to do. However when it’s finished well, it changes the feel at home. Clean windows allow cleaner air in to the house, and you will also be able to enjoy daylight better than when the windows were dusty. Windows should be cleaned regularly for effectiveness and longevity. While you could do the cleaning alone, the job is better handled by window cleaners. So, is booking expert Window Cleaning London worth your time and money? Below are the aspects why you have to employ expert cleaners. Windows need to be regularly cleaned because weathering slowly causes build-up of filth. The interior and the exterior of a home look attractive when the windows are free of dirt and grime. By having clean windows, you let daylight to penetrate easily through the window glass without having shadow casts from fingerprints, debris, or water deposits. In industries, clean windows can make a big difference. Windows can determine whether an entrepreneur closes a sale or goes back home empty-handed. Office buildings with very clean windows inform clients that the owner is thorough and can take care of those small elements. Clean windows will make the house be more inviting and help make a great impression to visitors. If you’re planning to sell the home, carrying out expert window cleaning will help to attract more buyers thus, adding money to the closing sale price of the property. When selling a home, entrance charm is essential, and a window cleaning service will offer that. 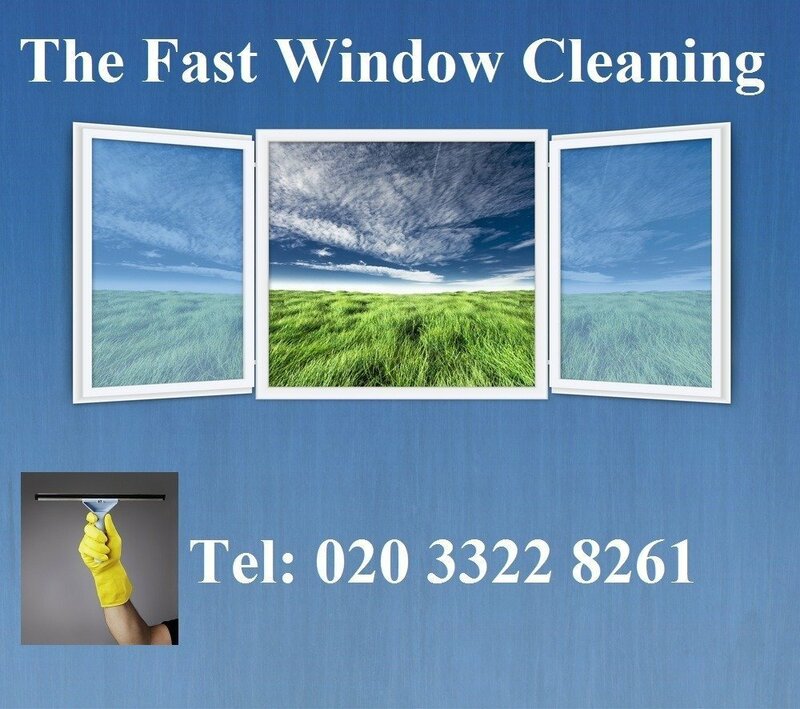 Get your windows fully clean right now by contacting 020 3322 8261. I agree that The Fast Window Cleaning can use my details to contact me in regards to my enquiry and for future updates.